Here, essentially, are a few words a on 1) what I used to make this page, and 2) how you can use what you find here to make things. I’m a bit of a publishing / typography nerd, so I do love that word. But the general idea is a good one, too; a less-personal sort of ‘Acknowledgements’ page. A lot of useful things go towards making something like this much easier, so here are a few notes in the spirit of Credit Where Due — and in case they might help anyone else. 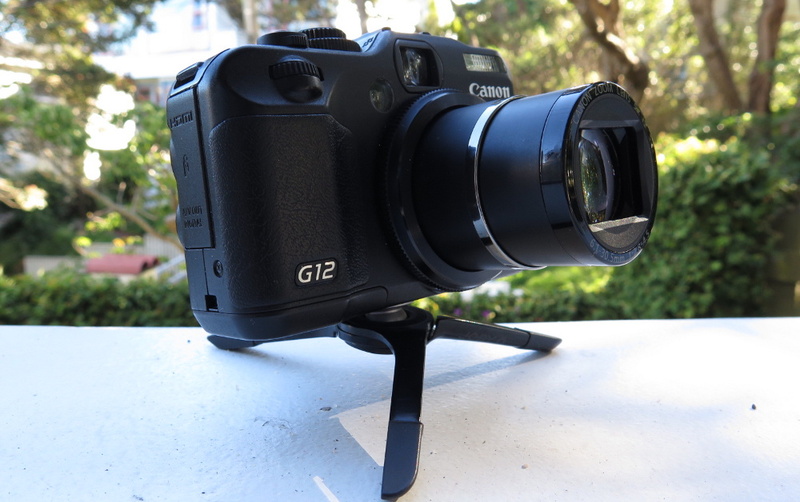 My second camera, a Canon Powershot G12. It suitably débuts with Little Creatures Pale Ale (I made sure of it, in fact) and essentially takes over full-time at Moa ‘5 Hop’. 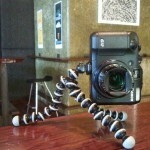 For all its baffling potential seriousness, it was an utter joy to use, I must say. I slowly learned its tricks (credit has to go to Jed Soane and Emma Dacey, for that) and hopefully my photos steadily improved… In mid-2013, I sprung for an amazingly useful EyeFi card which automagically beams photos to my phone and my computers. Sadly, after eerily close to exactly four years of dependable usefulness, it suffered a fatal lens-jam. Without any hesitation, I bought its younger sibling, a G16, which is as recommendable — especially now they’ve fixed the software slackness that briefly took away my automagic photo-beaming. 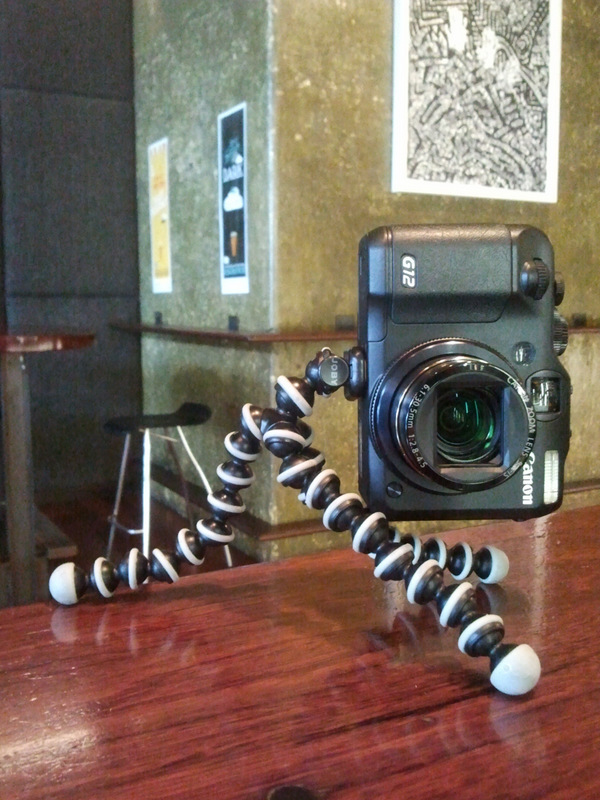 A mini tripod. In my experience this is the bridge too far that turns you from ‘oddity’ to ‘weirdo’ in the eyes of the public. But they’re an absolute must for low-light photos, unless you’re very, very good at balancing your camera on upturned spirit glasses or whatever (to which I resort, on occasion). My first was the incredibly cute bendy-legged one pictured, but it eventually wore out under the extra weight of the Powershot; I now have a less-adjustable collapsible little one that can handily be permanently attached. Also: use the timer, even if it’s just set at 2 seconds — the slight wobble from pushing the button can easily ruin a shot, especially in dimly-lit bars. I’m using WordPress, now with their ‘TwentyFourteen‘ theme as of early 2015 since I can’t help but be slightly behind the times. I’ve made a few little modifications myself (though increasingly rely on Pete’s wizardry…) and also use a whole bunch of handy extras from their Jetpack plugin suite. On top, I run the ‘Lightbox 2’ plugin to handle the fancy little popping-up images. I run Ubuntu Linux on my desktop and my laptop and use Dropbox to synchronise files between them all (and any other machine I happen to be working on). Nautilus (the default file manager in Ubuntu), is suprisingly handy as an idiot-proof and transparent ftp client; gthumb (available in the software repositories) and The GIMP (available cross-platform) have proven capable of all the image-editing work I’ve needed so far. In editing-together and cleaning up the podcast, George has found Audacity a nice combination of simplicity and power. The blog is hosted on the server of my friend and former colleague, Peter Moran, who also provides regular help with relevant webstuff. And he has rescued this site from whatever bricked or borked state I’ve managed to hurl it into many times. He’s great. Beeradvocate.com and Ratebeer.com are very handy resources, even though I am (perhaps obviously, if you’ve read any of my notes) not personally fond of assigning numerical scores in my own note-taking. But that’s just a philosophical difference; both sites are wealths of information, and it is very useful to read what other people make of various beers. RateBeer.com, though, is still pretty damn ugly. Someone fix that for them, please. Untappd has proven a genuinely helpful crutch for my pathetically poor memory — though I still decline to actually rate anything. Embrace subjectivity! Since the demise of Google Reader, I’ve found Feedly even more adept at making keeping up with the wide world of beer writing super-convenient — to the point where I sporadically share the best bits of what I find. Martyn Cornell’s ‘Zythophile’ blog is a great place to go for long-form, ludicrously-informative, charmingly-grumpy writing about the history of beer — which hugely distinguishes itself by actually giving a damn about history, and not letting myth and nonsense stand. The Beer Project is the work of Jed Soane — someone who always makes me want a flasher camera and more using-it know-how — and is a great collection of photos documenting the New Zealand craft brewing scene as it grows. Being something of an old-school internet-hippie (and basically not any other kind), I’m putting all of my own content here under a relatively-open Creative Commons licence — this includes any text and photos I’ve created. The podcast is available under a very-similar license, just with an extra “share-alike” clause. When I’m quoting someone, or using their images, I’ll make that clear, and obviously things like the code of themes and plugins remain under whatever rules their own creators have chosen (see the colophon above). This license basically means that you (whoever you are) are free to use my work for any non-commercial purpose, so long as you give me proper attribution — for which I’d count my name and a link back here, for example. I also have a pretty relaxed definition of ‘non-commercial’ and for example wouldn’t care that you had advertisements on your blog / webpage, so long as the operation wasn’t your main source of income. I’m also entirely open to commercial uses of my work, so anyone interested should feel free to contact me; rates would be ludicrously reasonable, I’m sure, I just chose this particular license so as to disable such use ‘by default’. If needed for printed work, the original much-higher resolution versions of my photos are also available on request.